The Living Statues sprint is two days away. We're excited! Here is some last minute information to get a rolling start. This is the buildout we’re using for development on Deco and plone.app.cmsui. As some of you may have seen on Twitter, we are planning to work in teams of 3 people. That way idea’s and knowledge (hopefully) is exchanged more easily. We have given teams a (web) colour and every team has a location. All this also makes it easier to coordinate what we work on, and to ask questions to people who are working on certain things. 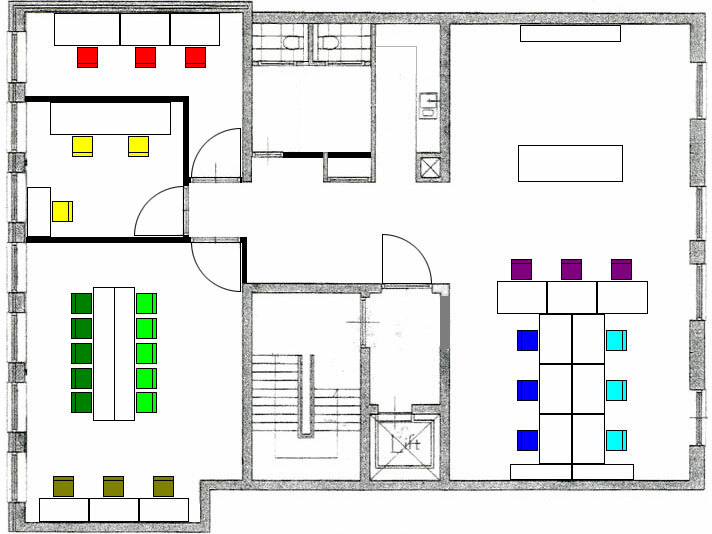 The teams all have set locations which you can see on the “floorplan” and will be represented in the office. The Living Statues Sprint 2011 is over. What happened, what got done and what's still left?